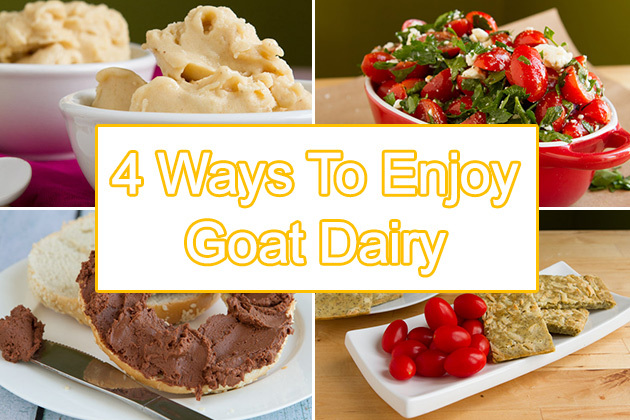 I’m sharing 4 delicious (new) recipes today that’ll ignite your creativity around all the yummy things that you can do with goat dairy. It’s a recipe party up in here! The cool thing about goat’s milk is that it doesn’t have the pesky allergen stimulant (b-lactoglobulin) that cow’s milk does. That, and it’s fat particles are much smaller. Basically, it’s easier on digestion and won’t cause the same digestive reactions in people that are avoiders of all things cow’s milk. BUT! If you’ve played around with goat’s milk and find that your body just cannot have it, or you’re vegan, I’ve added suggestions on how you can make all of these recipes dairy-free without sacrificing taste. Everyone can enjoy, no matter their dietary preferences, allergies or sensitivities. Hungry for more examples on how to make dairy-based recipes dairy-free or see how easy it is to cook with goat dairy products? Check out part 1, part 2 and part 3 of my Happy Days Dairies recipe series. 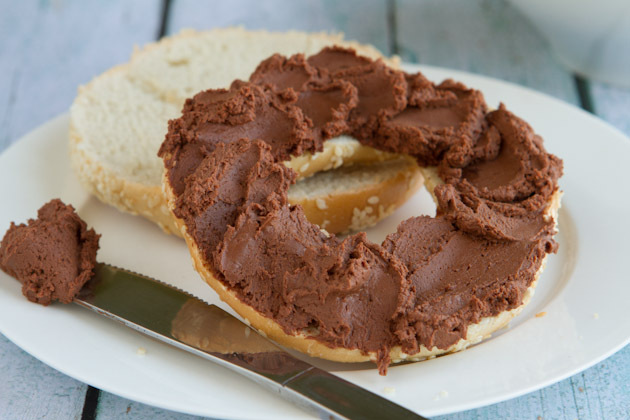 An upgrade to your everyday chocolate spread, this spread is loaded with cheesy goodness and rich, dark chocolate. Dairy-free (vegan) alternative: switch out the goat cream cheese with my soy-free vegan cream cheese recipe and use non-dairy milk instead of milk. 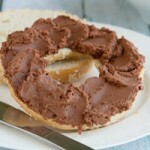 Easy peasy and just as chocolatey! 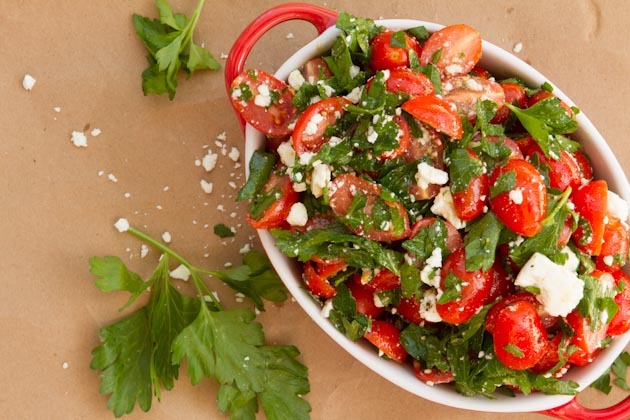 Simple feta-based salad with fresh grape tomatoes, olive oil and a splash of vinegar. Dairy-free (vegan) alternative: most any salad recipe that calls for crumbled feta can be replaced with cooked beans and an extra splash of vinegar. Chickpeas would be fabulous in this light salad! 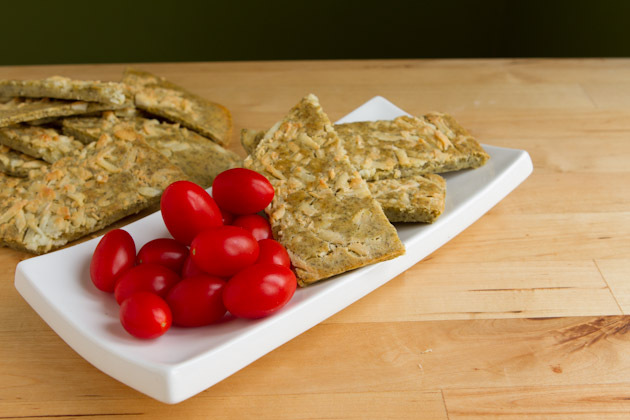 Gluten-free Italian flat bread sprinkled with mozzarella goat cheese and baked to crisp perfection! Dairy-free (vegan) alternative: if you have a favorite dairy-free cheese, now’s the time to use it! Replace the shredded goat milk mozzarella with an equal part dairy-free cheese. 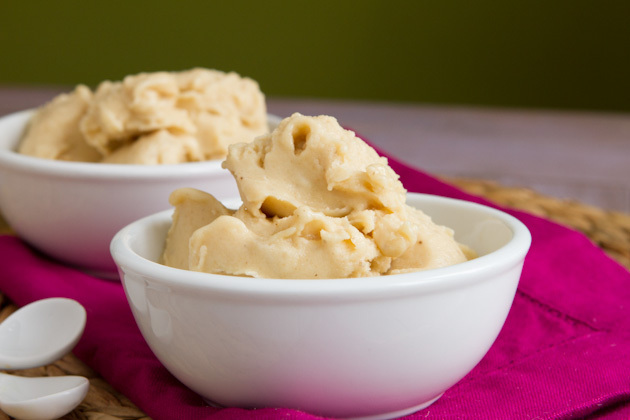 A delicious sugar-free frozen yogurt treat! Whip together frozen bananas, vanilla goat yogurt, vanilla extract, and honey or coconut nectar and voilà you’re done. Dairy-free (vegan) alternative: swap out the goat milk yogurt for your favorite non-dairy yogurt and this is as dairy-free (and vegan) as it gets! Can’t have bananas? Check out this homemade soft serve recipe that’s banana-free. Psst… don’t forget to check the Healthful Pursuit Facebook page today where I’ve announced the winner of our Desire Map Giveaway!